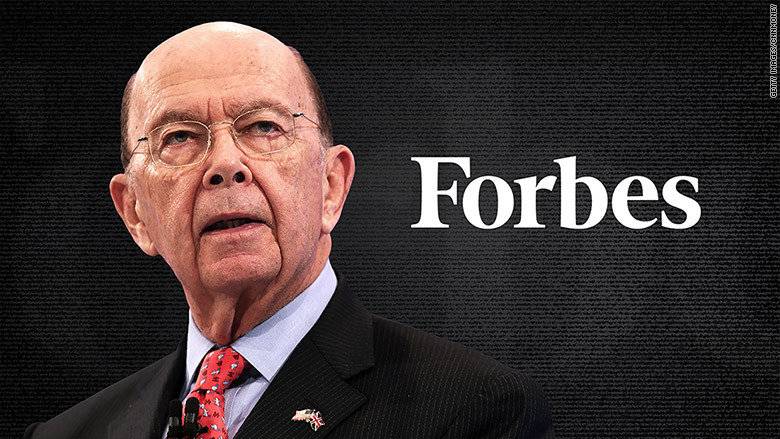 Secretary of Commerce Wilbur Ross is, like almost every single one of Trump’s cabinet picks, a real piece of work. I knew this from the beginning, but upon reading Gronda’s post, even I was amazed at just how greedy and dishonest Mr. Ross is! Please take a few minutes to read this post and understand just how Trump has, instead of draining the swamp, filled it up with some of the vilest creatures that walk on two legs! Thank you, Gronda! Remember the republican President Donald Trump’s promise frequently delivered to his fawning supporters while he was on the campaign trail, to drain the swamp in Washington DC. This is a promise that he’s not kept. Instead, he has filled the swamp with greedier insatiable swamp critters like the US Commerce Secretary, Wilbur Ross. This entry was tagged Dan Alexander, Department of Commerce, dishonesty, Forbes, Gronda Morin, Lies lies and more lies, Trump cabinet, Wilbur Ross. Bookmark the permalink. I hadn’t thought about it, but it is amazing that we know all the cabinet member names. If nothing else, we are better informed. This Wilbur Ross is a true money grabbing liar and bum. The Democrats would do well to drive home during this election season, the high level of corruption in the White House. Thanks for your support and for the reblog. I hadn’t thought about it either, but I don’t think I have ever been as well-informed and savvy as I am now, so perhaps there IS something good to come from all of this. And as always, Gronda, it is my pleasure to share your work! Draining the swamp indeed! The only thing that surprises me is that Trumps pet piranhas haven’t eaten each other. I have just one question…has Trump chosen anyone, for anything anywhere, who embodies any redeeming qualities? Thank-you! I swear, is there anyone in the trump admin who is not corrupt? Zinke, Devos, Ross, all of them. I liked it better when I didn’t even know the names of cabinet members. Good times then. Nope. One of the qualifications in the initial screening process is dishonesty, and another is being filthy rich and white. Ben Carson is the token black. I agree … good times then. I just read your post from last October about the day Trump died, and thought it was great! Would you mind if I re-blog it? ….Or a person with integrity, of course. It would upset his “norm”. You’re so right about that! Cannot have honesty in THIS administration!